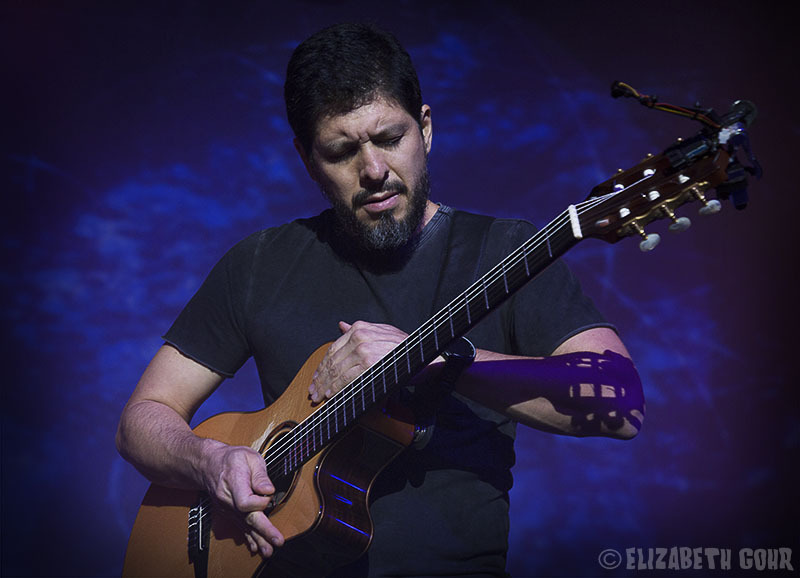 The acoustic guitar duo of Rodrigo Sánchez and Gabriela Quintero came to the to perform two sold-out concerts on a recent weekend in celebration of the tenth anniversary of their self-titled album, which gave them their big break in America and vaulted them from obscurity into the limelight. 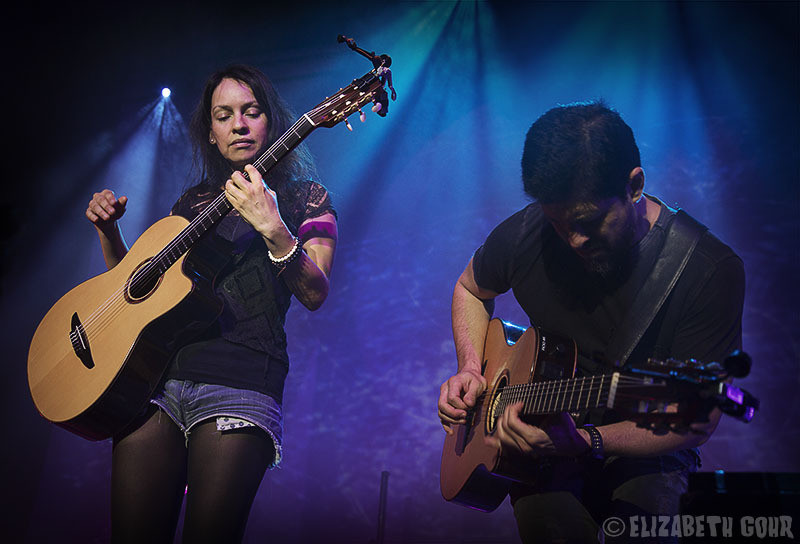 While the notion of an acoustic duo headlining a rock venue such as The Fillmore may be puzzling to some, the duo’s set was as powerful and electrifying as anything a regular rock band could put on. The simple arrangements of their songs naturally lent themselves to the live stage and most songs provoked a large reaction from the audience. Quintero filled the role as drummer and timekeeper, with her highly percussive playing style involving all kinds of tapping and slapping on the body of the guitar in between strumming guitar chords. This provided the perfect counterpoint to the speedy lead guitar work of Sánchez who drove the melody to each song with his technically complex picking patterns. Seeing as the concert was a celebration of their self-titled album, much of the set was culled from songs from that record, in addition to a few new, untitled songs from their new album. Throughout the night the two guitarists mixed plenty of improvisation into their songs, adding in bits and pieces to liven things up. The duo made sure to include a couple of their stunning cover songs, such as their spirted version of the Metallica instrumental, “Orion.” Sánchez was on fire throughout the piece as he swept through the complex lead guitar work, including a challenging and technically demanding outro solo. It was a true testament to the duo’s ability to add their own enthusiasm and energy to an already legendary song. This was also apparent during their rendition of “Stairway to Heaven.” The cover was what initially broke them in America back in the early days of YouTube and it still sounded as stunning and beautiful as their first recording of it all those years ago. Sánchez and Quintero began with a bit of improvisation around the song’s chord structure before elegantly weaving in and out of the vocal melody with plenty of evocative guitar work. A subdued yet powerful solo from Quintero queued a transition into the closing section of the song where Sánchez delivered an epic version of Jimmy Page’s classic solo, throwing in all manner of blistering speed runs and sustained notes. As the show continued you could see the joy on both of their faces and on the faces of the audience, who were clearly captivated by the duo’s energetic performance. 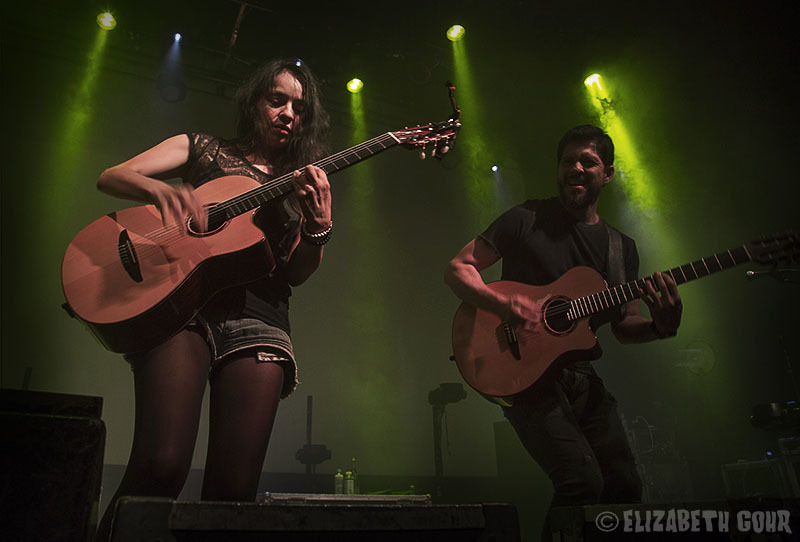 Rodrigo y Gabriela continue to be a powerful force on the live stage, and if this show was any indication, that will continue for years to come. 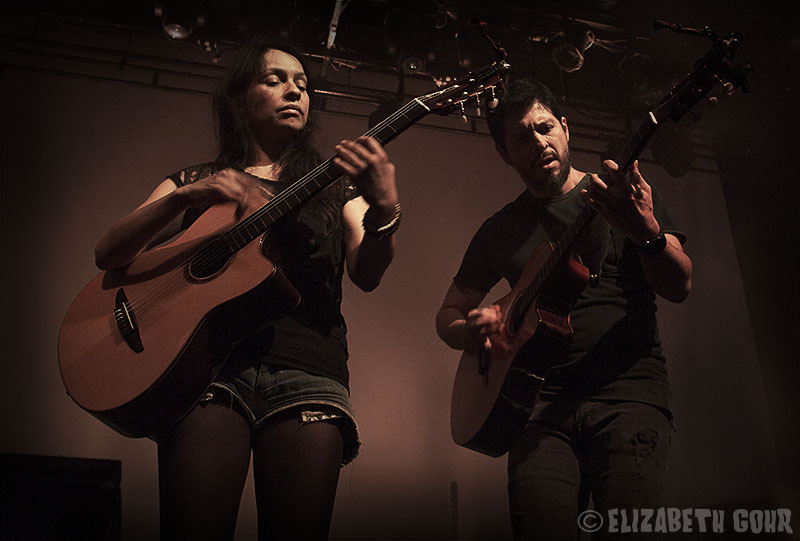 Find out more about Rodrigo y Gabriela on their website.